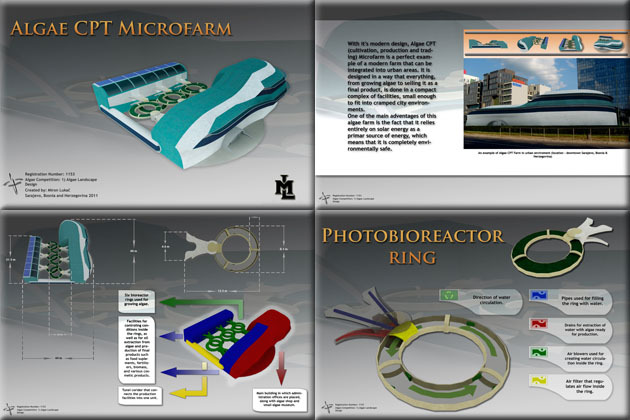 Algae CPT (cultivation, production and trading) microfarm can be integrated into urban areas. Everything, from growing to selling it as a final product, is done in a compact facility. With a closed system with six photobioreactor rings, algae can be grown regardless of the season. For more information about this entry, contact the author. email: miron.lukac@yahoo.com.